It is easy to get lost wandering through the dreamy warehouse Filter Photo resides in, alongside several other galleries and artist spaces. And when found, you may be greeted with extreme contrast: the white wall blinding the eye to the details of the nearly blackened photographs mounted upon it. But as the eyes adjust, so does the mind. You may be able to cipher a bright light reminiscent of a distant sun, or the turned head of an ex-lover. Then, you may relax at the sight of a diptych depicting the sea. While the dark tones may confuse the senses, there is an overwhelming sense of order amongst the abstractions laid out into a gridded wall pattern. Rafael Soldi obscures the distance between affect and aesthetic throughout the body of the work featured, carrying the viewer along for a ride with no definite ending. Rafael Soldi, CARGAMONTÓN 32, 2018. Courtesy the artist. This iteration of Life Stands Still Here is a partial view of a larger project, which spans about thirty images total and has been exhibited in Seattle, Oregon, and New York City. 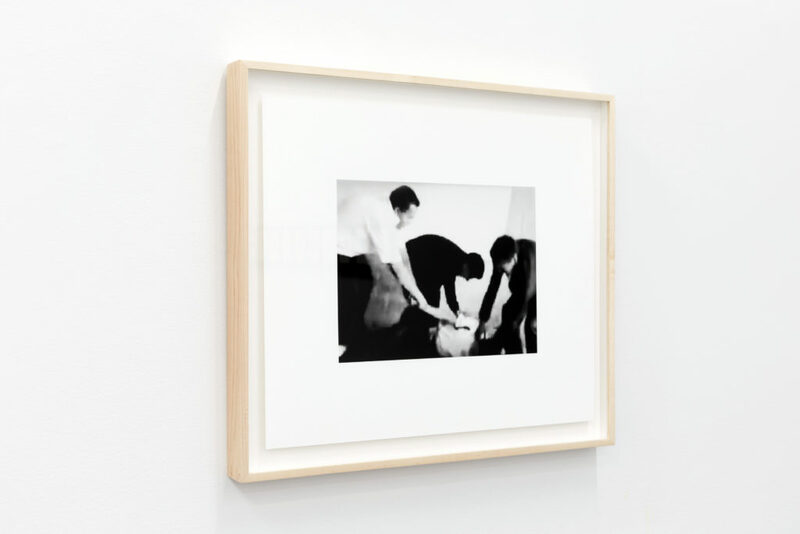 When preparing this show to be transported to Chicago, Soldi chose a combination of eight pieces, some of which are a collection of photographs, to best fit the gallery, representing the bulk of the series. Soldi’s practice is expansive, but often comes from reflecting on an inner darkness. In their recent collection of photographs, CARGAMONTÓN, the artist meditates on his youth growing up at an all-boys Catholic school in Peru, recalling the introduction of “intimacy and violence as a codependent truth.”1 Life Stands Still Here can be seen as a continuation of that realization, or maybe a denial of such claim. Though in youth the relationship between intimacy and violence may seem more concrete, the theater of everyday cruelty can grow abstract as physical violence is rendered taboo and sociological violence becomes more prevalent. This investigation is seen across the entirety of the artist’s practice, which ranges from abstract to figurative. While Soldi may investigate the dark parts of the spirit in his photographic practice, he does so in order to seek light. The moments where figures and landscapes can be seen in his photographs are in the places that the light hits. They orient the viewer to find beauty amongst potential nihilism. But even this becomes complicated. In And All of A Sudden You Were Gone—the only five displayed images which are primarily white—are placed below another five images which are primarily black. The only intersection of these collections are as they become a totalizing blank form: black versus white, held at direct opposition. It is a complete surrender, which almost abandons the traditional photographic discipline avoiding any figuration. The only subject is something which fades into nothing and presents its polar rather than a resolution. It is terrifying, and leaves the moral epiphany ambiguous, maybe for the viewer to fill on their own. Installation view, Rafael Soldi: Life Stand Still Here, 2019. Courtesy Filter Photo. When asked about the photographic strategy of the show, Soldi said he, “first employed this black-on-black method on a photograph in 2009 while experimenting with some new processes.” While at the time it wasn’t a fit for anything the artist was working on, he then began making work that explored his inner self in 2015, and, “was ready to turn the gaze toward an abstract ‘innerness’ that was obscure and obtuse.” In addition to the artist’s photographic practice, Soldi is also a burgeoning curator and collaborator in Strange Fire, an online collective publishing platform comprised of artists such as Jess T. Dugan, Zora J. Murff, and Hamida Glasgow. Regarding the different aspects of his career—which range from commercial to personal in nature—it is clear that each of his endeavors only adds to his artistry. In the text accompanying the show, it is mentioned that the work on view takes inspiration from the writing of Virginia Woolf. The title of the exhibition is a direct quote from one of Woolf’s most known novels, Mrs. Dalloway, which though published in 1925, still holds sway in contemporary culture. As a nuanced exploration of mental illness and post-traumatic stress through omniscient storytelling, the stream of consciousness style of prose explores these topics in a way that feels somewhere between fiction and reality. In a way, abstraction can serve a similar purpose. While the style is easily conflated with the history of its usage—namely that of a heteronormative patriarchal presence—Soldi’s approach utilizes the abstract as a way to obscure the distance between the intimate details of his own life and the signifiers featured across his work. Leaving the gallery, the last thing within view is the diptych All Day I Hear The Noise of Waters, picturing a darkened body of sea. It lingers like a christening, or how I imagine a baptism would feel to a newborn. Or maybe it is a call to arms—a call to grab a raft and head out, away from those who may cause pain. To become part of a larger community or to abandon a previous self entirely. I pass through the halls of the warehouse, retracing my steps backwards, a little more uncertain than when I first entered. Rafael Soldi: Life Stand Still Here ran at Filter Photo from February 15 to March 16, 2019. 1 Soldi, Rafael. “CARGAMONTÓN.” Rafael Soldi. Accessed March 25, 2019. http://www.rafaelsoldi.com/cargamonton. 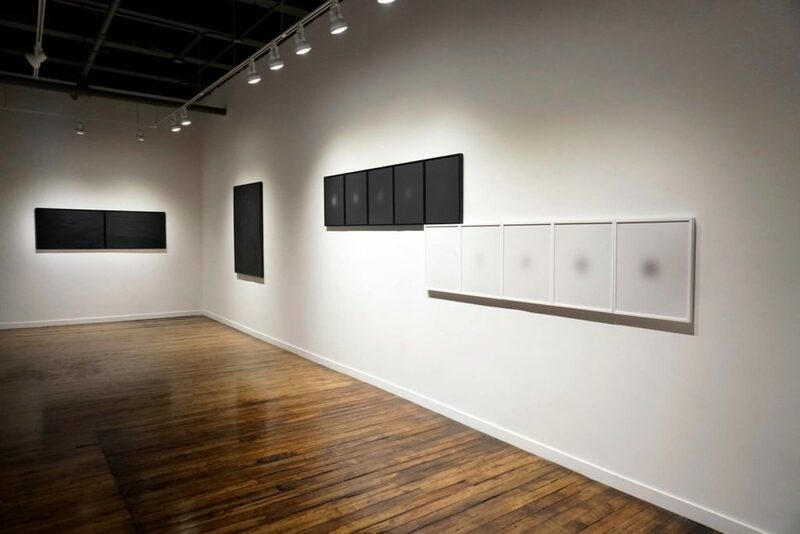 March 28, 2019 | Filed under Art Seen: Chicago and tagged with FILTER Photo, Rafael Soldi.